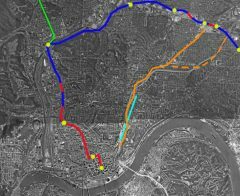 Also included on the map is a slightly extended streetcar line and commuter rail lines that activate Union Terminal and the Riverfront Transit Center. Click on the map for a full sized version. How did I end up creating a fantasy transit map for a city I’ve only visited once before? Curiosity! Curiosity about the subway Cincinnati tried to build 100 years ago and never completed. I began by trying to draw the completed subway alignment in Google Earth… and then just kept on drawing. Try not to duplicate the streetcar’s route. Follow dense urban corridors and avoid highway alignments as much as possible. Keep the system geographically compact. To further emphasize the last point, Cincinnati employment is spectacularly centered in or near downtown, an incredible contrast to St. Louis where jobs continue to migrate westward. Also, density in the Cincinnati metro area seems to decrease dramatically about 10 miles from downtown to the point where the expense and capacity of rail-based transit seems unnecessary and wasteful. Consequently, I mapped few stations further than 10 miles distant from downtown. 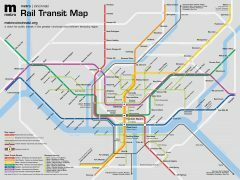 A number of cities around the world have abandoned subway segments and stations; Cincinnati is unique in that it has an abandoned subway, yet still does not have any form of a rail-based transit system… soon to change. Cincinnati Transit is but one of many websites with a history of Cincinnati’s most ambitious attempt at creating a rail-based transit system. 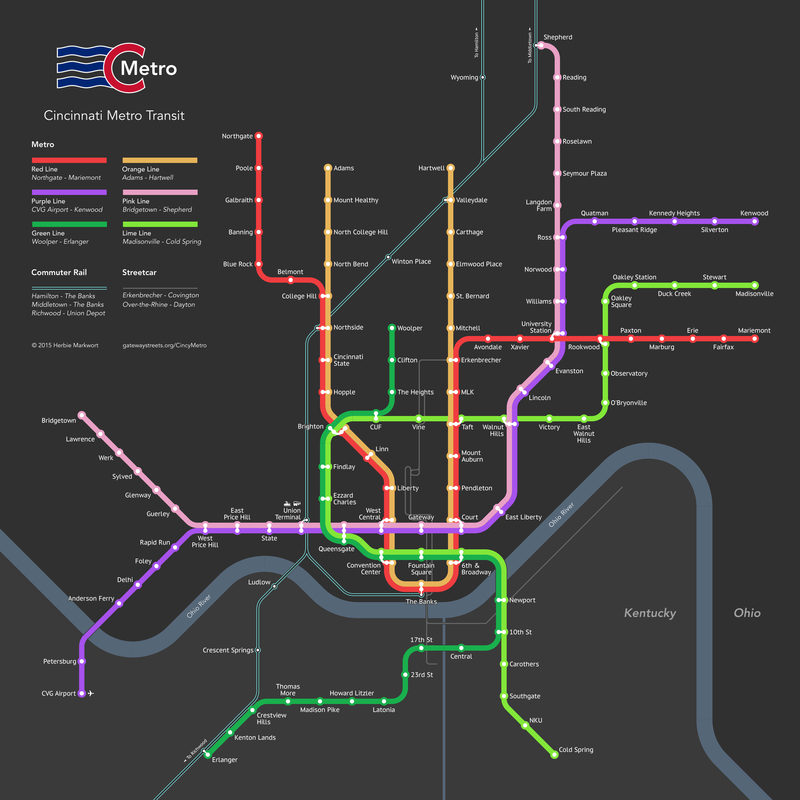 In 2002, the voters of Cincinnati voted down the MetroMoves ballot initiative, which would have raised sales taxes by one-half cent to fund a light rail transit system. Designer Michael Tyznik created a map that beatifully shows how the system may have looked upon its completion 30 years later had the initiative been approved. In what began as an academic exercise, David Cole’s ideas for expanding on the 2002 MetroMoves plan grew into a full fledged fantasy transit map of even greater ambition and scope than the one I have imagined. 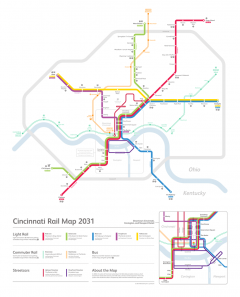 He has detailed the entire thought process behind his map on his Metro-Cincinnati website.